The Griffith University of Australia expressed their desire to award 25 PhD scholarships to Bangladeshi students within five years. 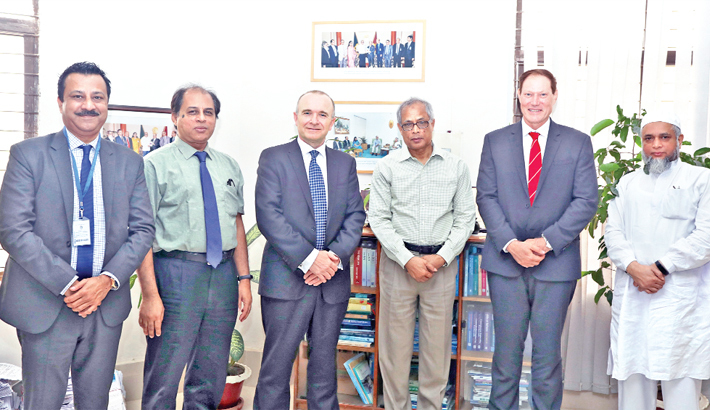 A three-member delegation from Australia called on University Grants Commission (UGC) Member Prof Mohammad Yousuf Ali Mollah at the UGC office in the city on Monday, says a press release. During the meeting, Prof David Grant, Pro-Vice Chancellor of Griffith University, expressed the desire to offer these scholarships in the field of Science and Technology and Business Studies. Other members of the delegation were Prof Peter Woods and Australian Trade and Investment Commission’s Business Development Manager Mostafizur Rahman. A Memorandum of Understanding (MoU) will be signed between UGC and Griffith University within the shortest time in this regard.